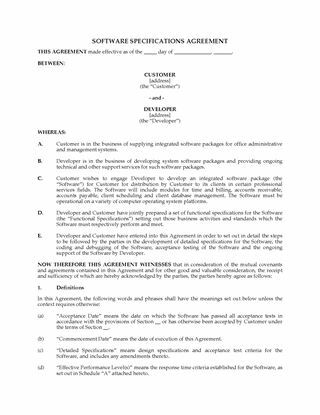 Software developers, create a software site license to allow for beta testing of systems and application software with this easy template form. 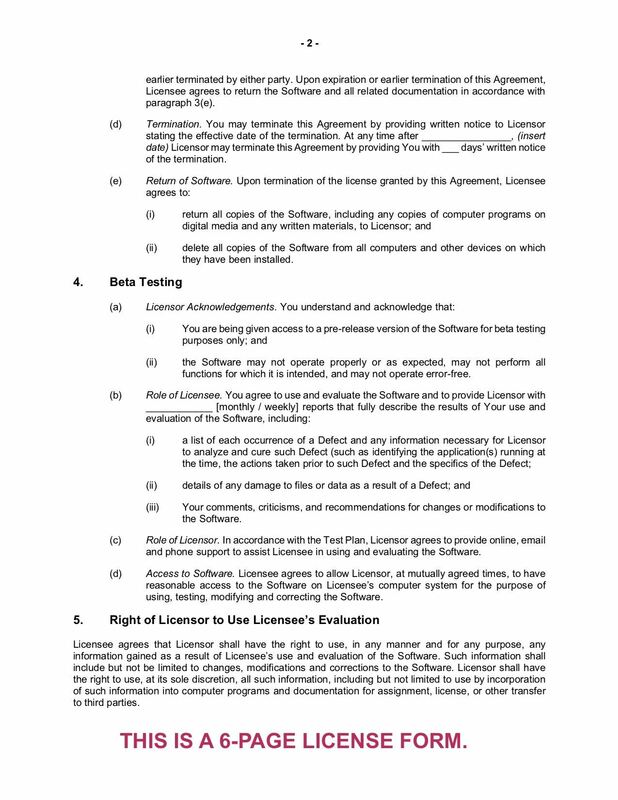 Scope of License. The license is a royalty-free, nonexclusive, nontransferable single site license which allows the user to beta test a software product, at no cost to either party. Beta Test Version. The parties acknowledge that the software is a beta test version, that there may be bugs or defects in the software, and that the software is not expected to function fully upon installation. Confidentiality and Copying. 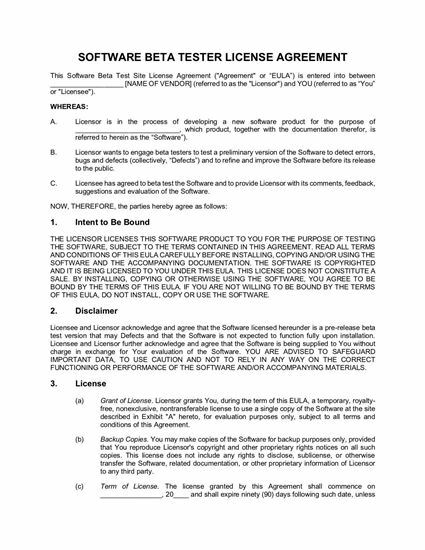 The tester agrees to not disclose any the software developer's confidential information and will not copy, sell, transfer or make any other use of the software. Support. The developer has no obligation to support the software except as expressly set out in the license. Title. The developer retains title to and ownership of the software, including any modifications made due to recommendations or suggestions from the tester. Confidentiality. The tester agrees not to disclose any of the developer's confidential information, including any information about the software, the testing or otherwise. This provision will survive the expiry or termination of the license. Indemnification. The developer indemnifies the tester against any claims for copyright infringement. How to Get the Form. You can download the License Agreement form immediately after purchasing it. Available as a MS Word template.